In the past week, domestic PV products have rebounded after falling for nearly 9 months. Prices of monocrystalline silicon wafers and monocrystalline solar cells have increased significantly, and prices of the most upstream polysilicon materials rebounded slightly. With the increase in the number of domestic policies and the start of the photovoltaic market, and the rapid growth in demand for photovoltaics in many regions such as Japan, the United Kingdom, and North America, industry experts expect that the bottom of the photovoltaic industry market has been formed, and the acceleration of the process of de-capacity production is expected to push the industry gradually out of the shadows. . However, some analysts also reminded that the over-capacity of domestic PV production capacity is already deep, and the industry as a whole still depends on abandoning the adverse effects of the new policy of rescue. De-capacity acceleration to promote the data show that since mid-December 2012, the domestic photovoltaic cell film prices have steadily increased, including mainstream polycrystalline silicon battery prices are more than 0.1 yuan / watt, while the mainstream monocrystalline silicon wafer prices rose more than the last week At 3.15%, mainstream monocrystalline silicon cells increased by 1.5% on a week-to-week basis. According to the China Non-ferrous Metals Industry Association Silicon Industry Branch sources, the rebound in the prices of all photovoltaic products is mainly supported by the demand of solar systems in China and Japan. On the one hand, before Japanâ€™s policy subsidy measures were lowered in March this year, some manufacturers have already felt strong. On the other hand, China's solar system demand is also increasing the price of polysilicon. It is worth noting that the domestic demand for photovoltaic market has been reflected in the rise of orders for many companies. It is understood that the domestic first-line photovoltaic companies currently operating at least 80%, some of the first-line photovoltaic companies are full production and there is a shortage of urgent single-use labor. Some analysts said that although the PV industry experienced the darkest year in 2012, due to the sharp fall in the industry's profit margins and the disconnection of cash flow, the era of industrial profits has passed, and when the industry's profit margins have fallen sharply, New entrants have fallen to lows. At the same time, the pressure on the capital side has caused the centralized exit of SMEs. 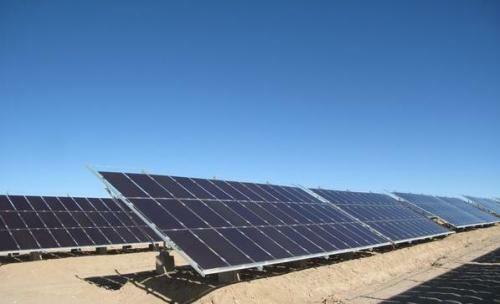 â€œThis obviously means that although the PV industry's supply is still surplus, the process of de-capacity has gradually begun.â€ The analyst said that in 2013 the industry will face a steady increase in the supply of downstream demand, and the future industry inflection point will depend on the supply and demand side The change. On the whole, the development trend of the industry in 2013 will be better than 2012, and the bottom of the industry has already formed. Be alert to the negative effects of the New Deal Despite obvious policy-driven effects, industry experts still warned that due to the overhang of the overcapacity in the domestic PV manufacturing industry, destocking will continue for quite some time. This means that during this period, the domestic PV market demand The pulling effect of solar product sales is limited. The recent series of bailout policies may be a â€œdouble-edged swordâ€, and the negative effect it may bring is that some of the surplus capacity of small and medium-sized photovoltaic companies that are in the exit channel are re-emerging. A person in charge of a small and medium-sized polysilicon chip told reporters that despite the serious backlog of product inventories last year, the factory has been in the mindset of shipping as long as there are orders, and recently the factory has been working overtime to catch up on a shipment. â€œAs long as we can maintain a certain operating rate, we will be able to hold on for some time. Not to mention that we are now watching the market and getting up again, so we can't even quit saying nothing.â€ The responsible person said that many of his colleagues expressed that they would continue to work after the full year. Horsepower production. According to industry experts' analysis, the current gross profit margins of photovoltaic products, including leading companies, are all below 10%, and some even have negative gross margins. Even if the PV market demand is picking up again, if the surplus production capacity of some small plants will continue to collapse, and countless companies will continue to sell products at a low price to digest inventories, their profitability will not be able to return to normal levels for a long time. .